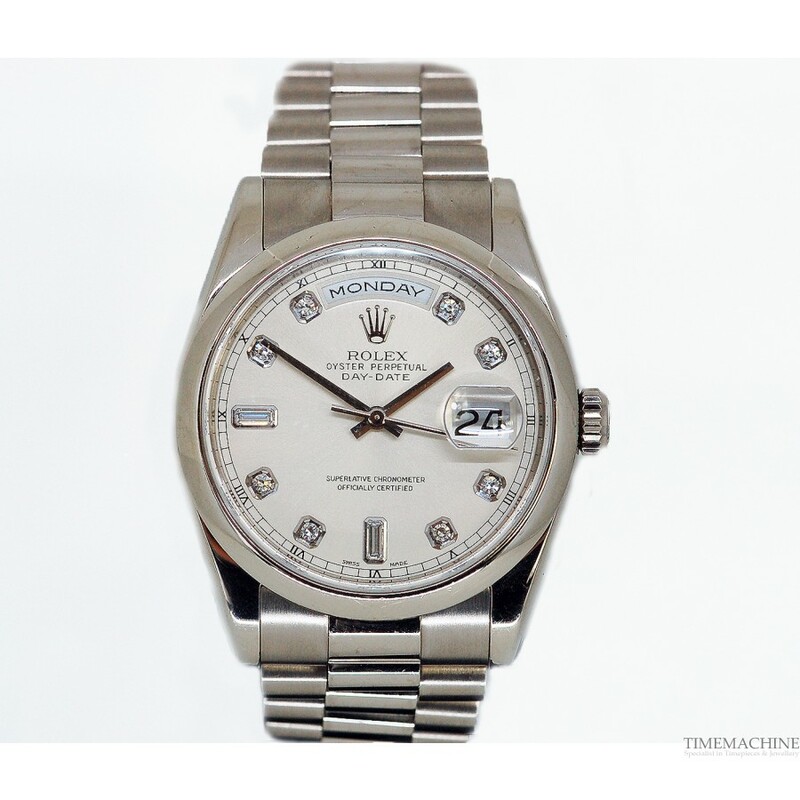 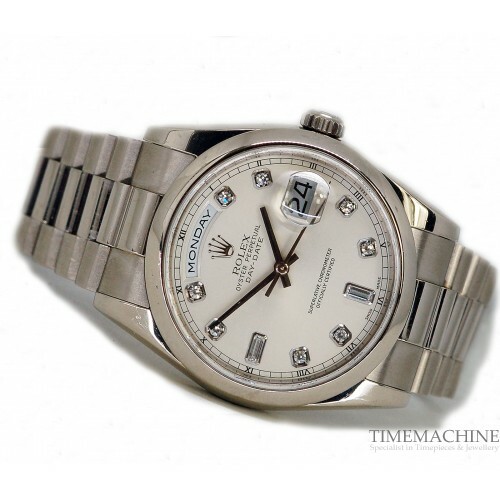 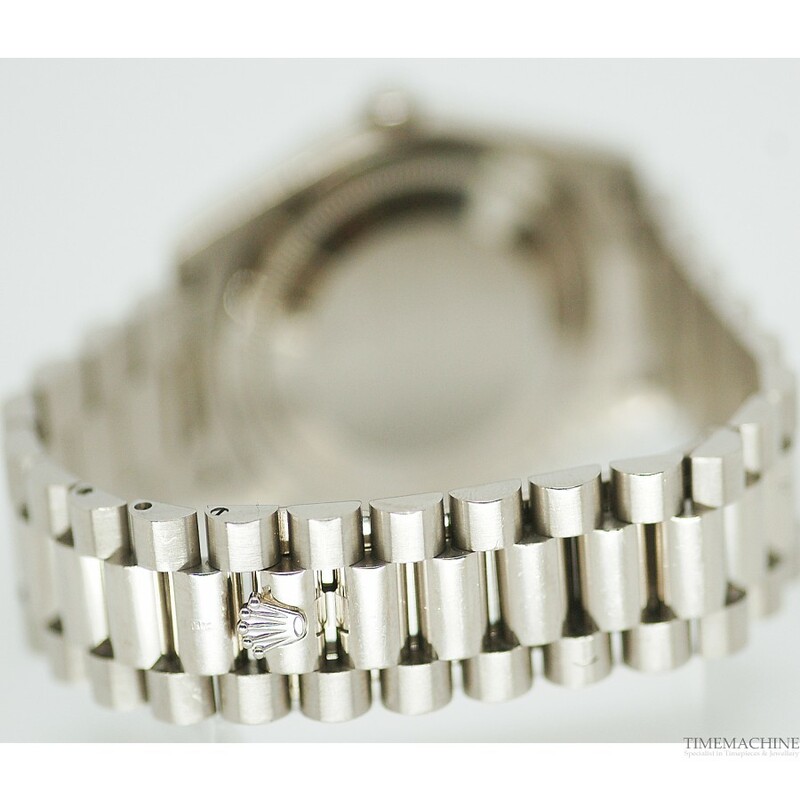 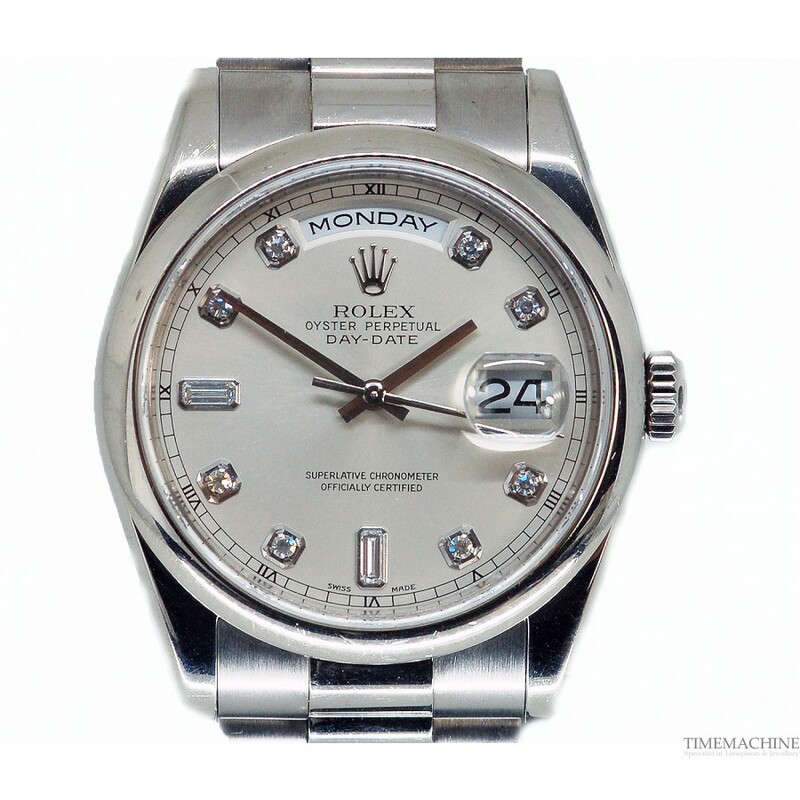 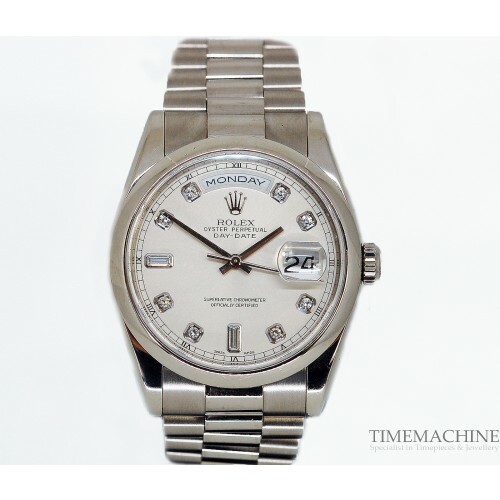 Pre-owned Rolex Day-Date réf: 118209, 39mm white gold case with diamond dots indexes and silver dial, day and date indication, white gold bracelet. 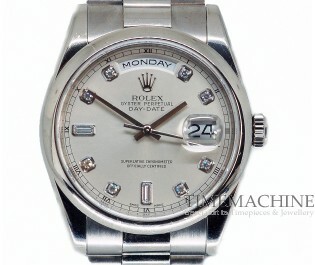 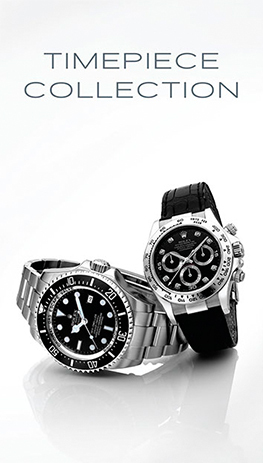 It as original box and papers with 12 months TM mechanical guarantee. 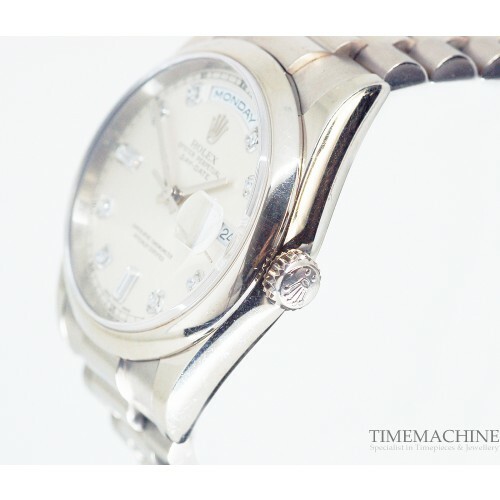 Please quote 3889 in all communications with us regarding this Timepiece.